Ever started something, but couldn't finish it? We've all been there. Life happens. We forget. We lose interest. 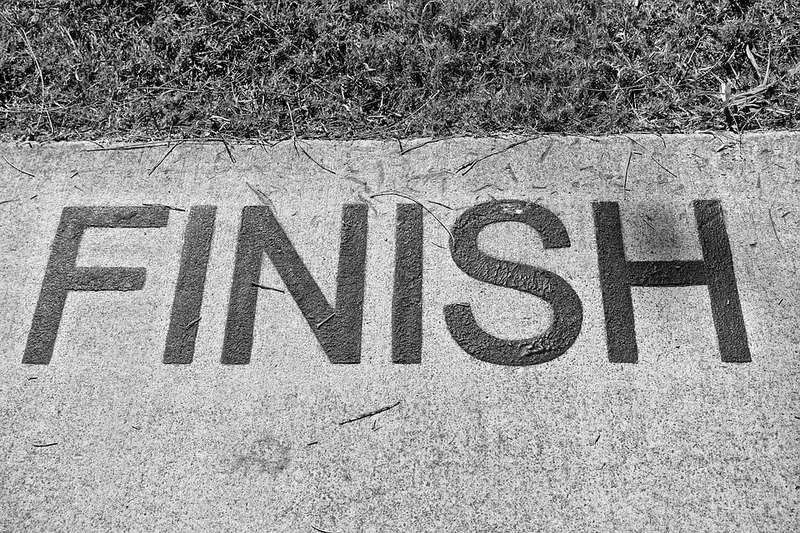 But for us, as followers of Jesus, we have to remember to finish well. 2 Timothy 4:6-8 6 For I am already being poured out as a drink offering, and the time of my departure has come. 7 I have fought the good fight, I have finished the race, I have kept the faith. 8 Henceforth there is laid up for me the crown of righteousness, which the Lord, the righteous judge, will award to me on that day, and not only to me but also to all who have loved his appearing. Finishing well is a testimony to our faith in God and His faithfulness to us. It lets others know that you are a person who believes in and trusts God with all of your heart. Then your life becomes a testimony for others to see. What do they see? God keeping His promises. Whatever you are doing right now - see it through. Don't give up. Don't do half of the job. It is at the end that you have to work the hardest because you feel the weakest. But God has your back. He isn't going to let you down. Stay faithful and true.